What I liked most about Iceland was the things I didn’t do, which is great, really, because it means I have to go back. Last spring, Edmonton was buzzing about Icelandair’s new, low-cost transatlantic service to Europe, and the opportunity to stopover for up to seven days at no additional airfare. Iceland was never a bucket-list contender. 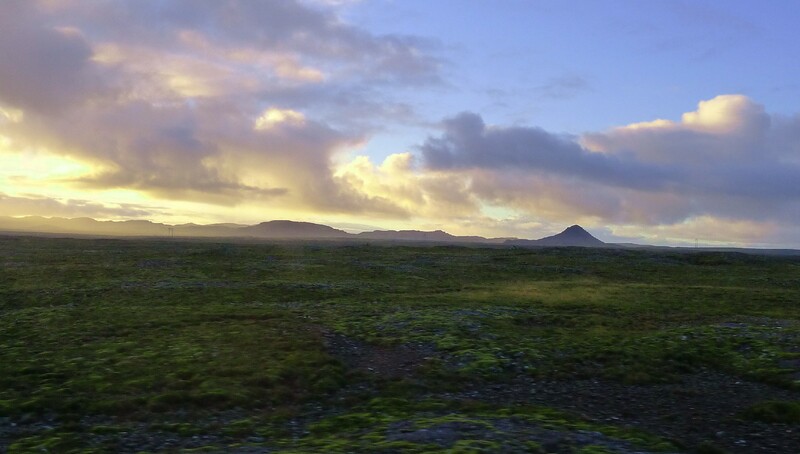 My impression of this remote, shell-shaped island near the Arctic Circle was as scant as the raw landscape, although I was impressed in 2010 when one of its active volcanos blew ash and smoke across to Europe and stopped international air traffic for five days. But here we were last August, a month after Holuhraun blew, flying Icelandair to Greece, with a 17-hour-layover in Reykjavik, the most northern capital city in the world. Iceland is a virtual hotspot of earthquakes and volcanic activity, attracting geologists, photographers and outdoor enthusiasts from around the world. Holuhraun is still rumbling with minor earthquakes after it erupted last summer, and its lava field now covers an area the size of Manhattan. Despite this, (or because of it, I’m not sure), tourism has soared since the big plume of 2010. In 2014, one million tourists descended on this sparsely populated island of 325,000. And 80 per cent were coming to see and experience the natural wonders of this unspoiled playground – the glowing Northern Lights, the famous spouting Geysir (after which other geysers were named), the glaciers and fjords, whale watching and ice climbing, and relaxing at the Blue Lagoon’s geothermal pool and spa and restaurant. The things I didn’t see or do. Iceland’s location, midway between North America and Europe, should tell you right away how expensive everything is. This was immediately confirmed when an airport taxi driver quoted a fare to the city that has so many zeros I thought he misunderstood my question. “15,000,” he replied, which I made him repeat twice while I remembered the quickest conversion from the Islandic krona to Canadian dollars was to drop the last two zeros. 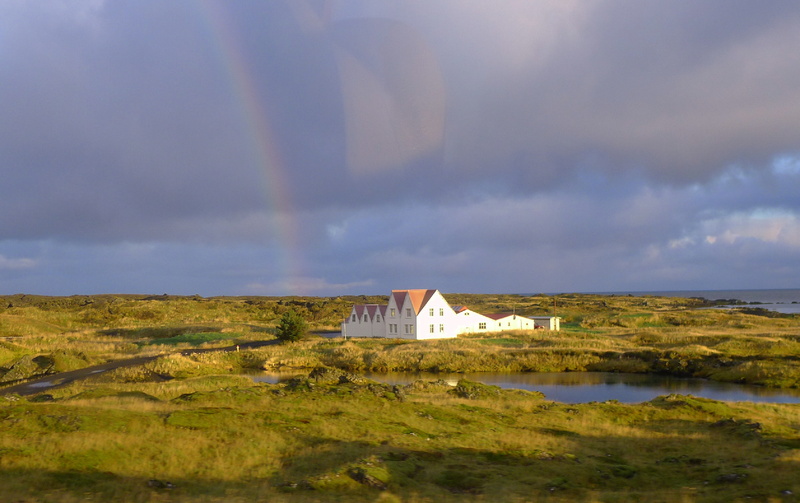 “One hundred and fifty Canadian dollars?” I sputtered to my husband, and we hopped an airport express bus to Reykjavik 50 km away for 1,700ISK each. We checked into a day hotel about 7:30 a.m. Greenwich Meantime (GMT), which was 1:30 a.m. in Alberta, and sank into this divine duvet-covered bed and slept for three solid hours. In crossing nine time zones to our final destination, we knew we’d need a nap on this short layover, but it was hard to find a day hotel that wasn’t going to charge us for two nights. We found a day rate at the Hilton Reykjavik Nordica, a modern conference hotel; Scandinavian by design and North American by size. Oversized tub, hot rain shower, Peter Thomas Roth toiletries, free WiFi, A/C, a safe, black-out blinds, and a bottle of the purest water you’ve ever tasted — or not tasted, it was that good. From our hotel’s central location, we could have walked 12 minutes to the city centre, but given our time constraint and seasonal 9C (48F), we opted to use the proffered free bus pass card for hotel guests to take public transit (the bus stop was across the street from the hotel) to the main shopping street of Laugavegur, where we browsed the gift and designer shops, and coffee houses, walked to the famous church landmark Hallgrimskirkja, and dined on the local Nordic cuisine. The city’s Old Harbour and dockside will remind you that this has been a fishing village for centuries. Viking explorers from Norway and the British Isles settled here in the late 9th century. During the 14th and 15th centuries, Iceland was ruled by the Nordic states of Norway, Sweden and Denmark before falling under Danish rule until its independence in 1944. Back at the hotel, with only six more hours before returning to the airport by 11 p.m., we made a reservation for dinner at the fine dining restaurant upstairs and stopped for a cocktail in the library lobby lounge by the circular gas-lit fireplace. The Danes have a word to describe a cosy, friendly atmosphere – hyggelig. And as we sat by the glow of fire on this cool, outdoorsy, sophisticated island, I felt the welcoming warmth of its people. And I realized that their casual charm had been there from the moment we boarded the aircraft in Edmonton and received a complimentary bottle of Iceland water and thick snuggly blanket. Flying home two weeks later, a promotional ad for Iceland was looping on the seat-back monitor in front of me while we waited to take off. 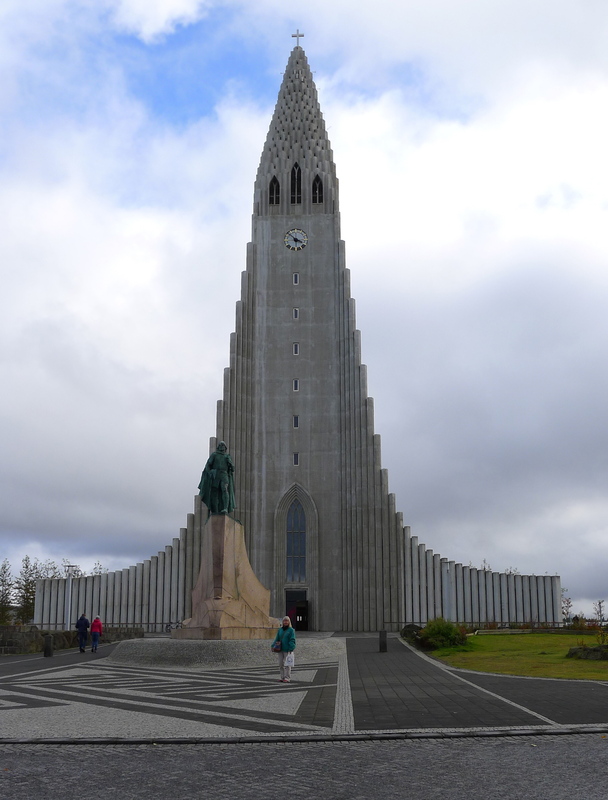 After the first loop, Iceland had edged its way onto my bucket list, and I knew what I wanted to do when I came back. I’d like to dine at the Lava restaurant, which is built into the side of a towering lava cliff, after bathing in the geothermal water and having a massage at the Blue Lagoon, where I’ll smear silica, algae, minerals, and other active ingredients all over my skin. I’ll eat torched haddock and pan fried cod and beer-cooked blue mussels before visiting the gushing Geysir. I’ll watch for humpback, blue, orca or killer whales in the North Atlantic. Oh, I’d also like to take the deluxe tour to find the Northern Lights, which includes a blanket, reclining seat, and late night snack and refreshments. And if time permits, I’d like to take that boat over to Grimsey Island and get the certificate proving I crossed the Arctic Circle. 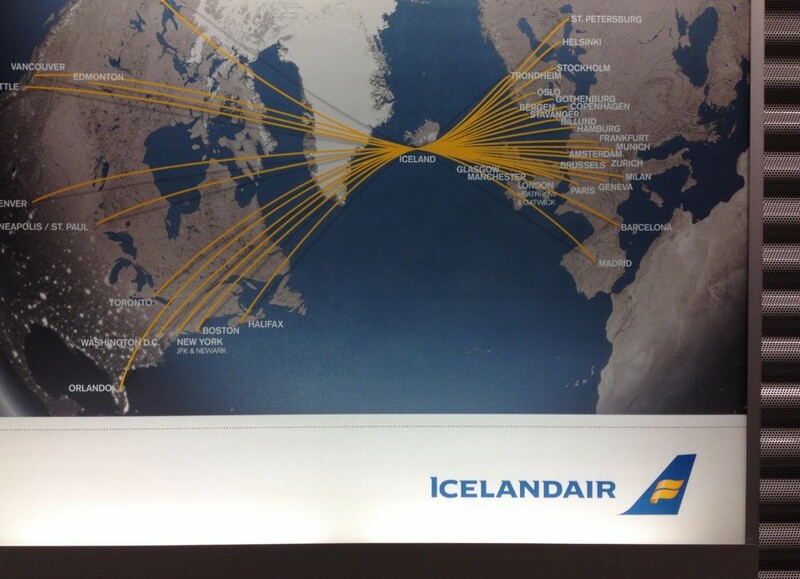 Icelandair says Iceland is where East meets West. But this big-hearted island isn’t a stopover between continents. It’s a destination. Happy to footnote the Hilton Reykjavik Nordica, which I reviewed on Trip Advisor last fall, won Trip Advisor’s 2015 Travellers’ Choice Award in January 2015.